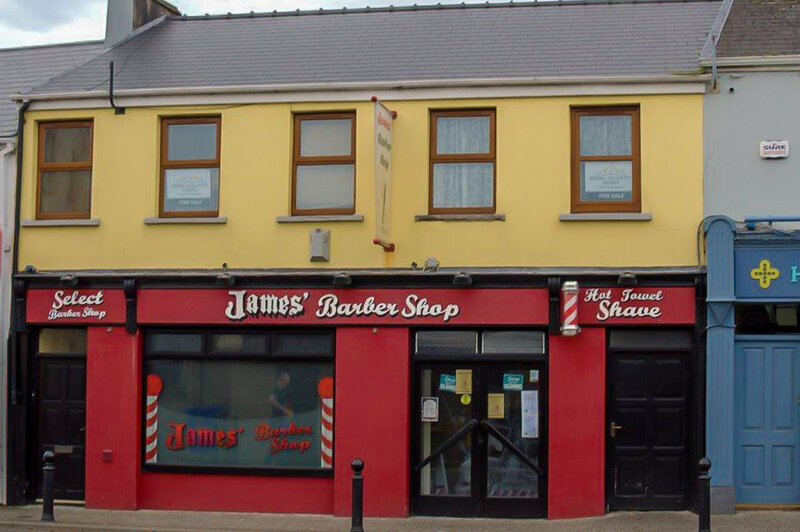 Retail / Residential property for sale in Killorglin, co. kerry. Prime location for any business due to high footfall and proximity to Killorglin Post Office, Credit Union, CYMS and much more. Acquire a retail/residential property (Retail Ground floor/Apartment First Floor) with high profile location on the main Ring of Kerry Road. Superb letting location adjacent to Post Office, Credit Union, Killorglin CYMS, Chemist, Church and main town car park. Property completely rebuilt in 1984 and re-roofed (slate) within the past 5 years. Ground floor consists of open-plan space with w.c. and large shop front window with double door access. Area of ground floor approx. 615 sq ft currently occupied as a Gents Barber Shop. Upper floor which has independent access consists of a very spacious 2 bed apartment approx. 650 sq ft. Accommodation includes: 2 Double Bedrooms with wardrobes, Large L shaped Lounge, Kitchen, Bathroom with electric shower and hallway. This apartment comes fully furnished. There is a concrete floor and stairs between the upper and lower floors. Double glazed wood grain windows in apartment. Attic floored and also has an attic stairs.